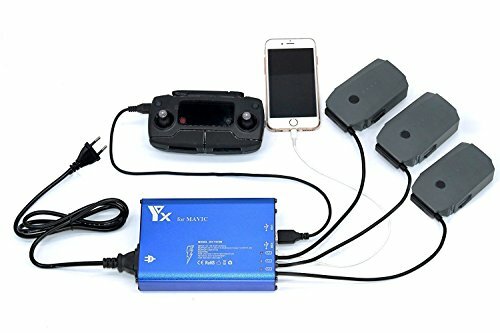 5 in 1 charger, specially designed for DJI Mavic Pro RC Quadcopter. Can charge 3 batteries at one time, ~60 minute charge time. Charging time: 60-80 mins for total 3 batteries or one battery. Intelligent temperature control, when temperature goes up, fan will speed up.